On September 4th school kicked off with the Design Thinking course and I recall thinking huh, this ought to be interesting! The classroom was packed with professionals from various backgrounds and industries as our lecturer Ms. Katja Tschimmel took us down the road of Design Thinking. We started the journey with a lecture about the background, basics, different models and principles of Design Thinking before jumping into action. One thing in particular that Ms. Tschimmel said stuck in my mind, and it was that there is no right or wrong way to visualize the Design Thinking process and its tools can and should be applied depending on the context which they are used in. Many visualizations on the concept can be found and within our two day crash course Ms. Tschimmel walked us through the Evolution 6 model. 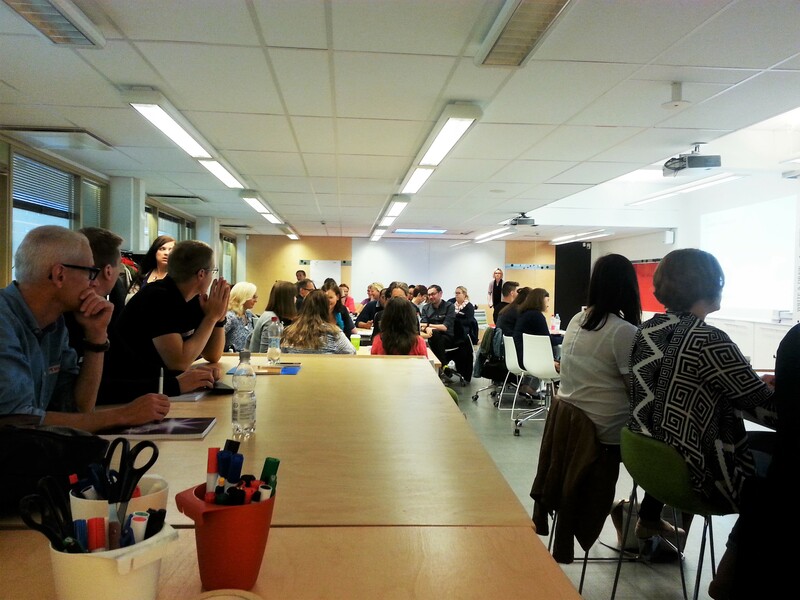 We got to try out its tools in practice by creating a new service concept for Laurea. We were split into groups and after getting to know each other a little we started our development process with mind mapping. After some following steps like creating the intent statement, observation, interviewing and rapid prototyping we were ready to introduce our brand new concept of Creating a culture of holistic wellbeing for the rest of our study group and the instructors. It was very exciting to see all the concepts presented on the final day and witness the statement, that Design Thinking truly is an effective toolkit for innovation for everyone and anyone can be a design thinker, come true (Tschimmel 2012). After the contact days I pondered upon the concept of Design Thinking versus my own experiences. My professional background is in design and naturally I have previously studied Design Thinking and applied the processes and tools into my work. Intentionally too, but mostly intuitively. The last time I took a course on Design Thinking was I think in 2008 and back then, as a Bachelor student with no real work experience as a designer, it was quite challenging to internalize the whole concept in the beginning. Of course after I got to practice my profession in real working life I saw it in a new light and pieces started to fall into place. Yet, I have many times struggled to answer when asked questions like “What does your design process look like?” or “How do you design this and that?”, so I found great comfort in Nigel Cross’s book Design thinking: understanding how designers think and work (2011) where it is stated that in fact it is a common experience. Many professionals, designers or not, may find it hard to explain their processes, presumably because when working they use and trust their intuition rather than try and find justifications or rational explanations for their decisions or processes. They simply just do it because it feels right (Cross, 2011). It was on this two day sprint of Design Thinking that after a long time I really got to dig deep within the concept and refresh my skills. For a change, it was good to really be aware of all the steps taken during the process of innovating something new and also try out some new tools. Cross, Nigel 2011. 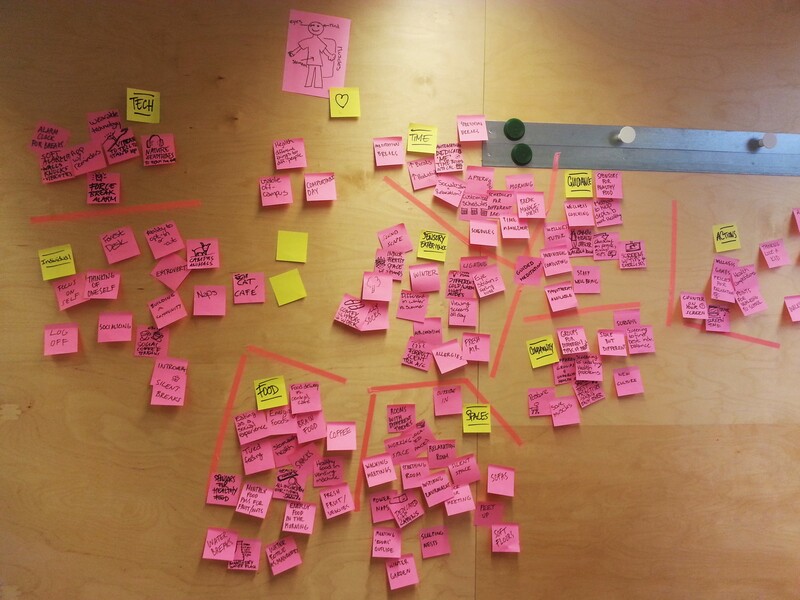 Design thinking: understanding how designers think and work. Oxford: Berg Publishers.